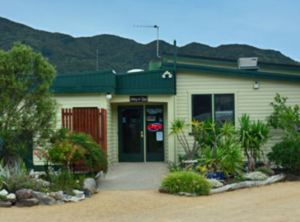 If you are lucky enough to visit Golden Bay, the most northern point of New Zealand’s South Island the you will probably be asking yourself where to eat in Golden Bay. There are many great locations all around Golden Bay. Below is a list of some of the best around. The Courthouse Cafe has new owners and has reopened. 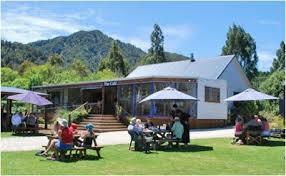 It is one of the best cafes in Golden Bay. 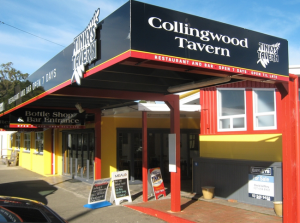 Enjoy your favourite coffee while relaxing in beautiful Collingwood in magical Golden Bay. New to the menu is are The Courthouse Pizza. Quickly getting some great reviews, the pizzas are available for takeway only every Thursday and Saturday nights. Located right across the road from The Station House Motel. 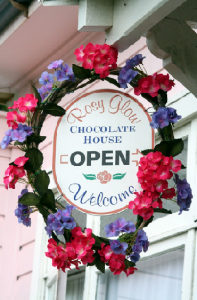 When you visit Collingwood then you really do need to and crazy not to check out Rosy Glow Chocolates, especially you Chocoholics. Some of the best handmade confection going around and every piece is produced with love. Try one – you wont be disappointed. 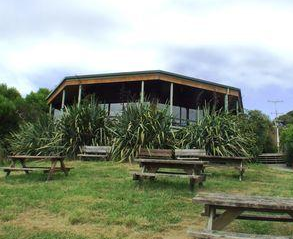 The Naked Possum is an “eco tourism” gem situated at the edge of the Kahurangi forest in Golden Bay, New Zealand and is a must do “destination” experience. 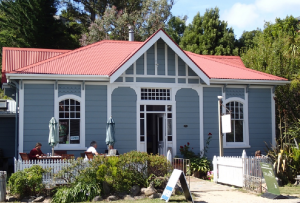 Relax at this splendid award winning cafe nestled in the native bush surrounds. It boosts an outdoor fire, ample lawn, great beer and a possum tannery, a retail possum shop, spit roast and barbeque. Located right in the middle of Golden Bay. It has a rustic and homely feel to it, very friendly staff, they produce all their own beers, ales, ciders, soft drinks and the occasional house wine in their small onsite brewery. A great place where locals enjoy meeting the tourists around the large outdoor fire-pit, enjoying the live music. 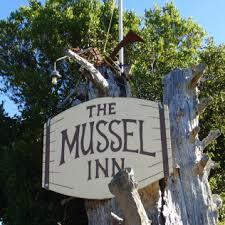 The Mussel Inn could be described as ‘Kiwi woolshed’ meets ‘Aussie farmhouse’ with a single room and verandas on three sides, chunky wooden furniture (tables good to dance on) creating a space that is rustic and homely. Dining in class! Enjoy the wonderful fresh produce of the area while sitting in their lovely outdoor setting, surrounded by established plants, or inside amongst the history of the school house it used to be. aka Tinkies Tavern is a friendly and pleasant public bar, dining bar and restaurant where the locals and tourists hang out. Enjoy exquisite views from our sunset balcony and two beer gardens. We also offer takeaways and children are always welcome.